It’s Oscar Sunday, and while the rest of you are gearing up for the red carpet and some statues getting passed around, I’m taking a look at this week’s flicks. You watch the awards show, I’ll keep grinding out the real work of watching trailers and making sweet predictions. 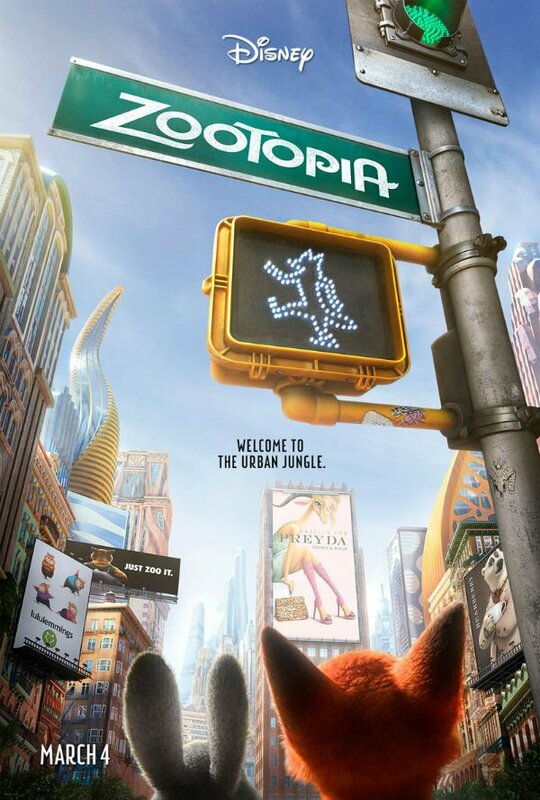 Get ready for Whiskey Tango Foxtrot, London Has Fallen and Zootopiat. Man, has Aaron Eckhart ever had a terrible run as President. First his wife dies in a tragic accident. Then he and his detail lose control of the White House only to gain it back after much bloodshed. Now, dude rolls into London only have to go to ground again because terrorists want his head. Not exactly the kind of circumstances that make stumping on the campaign trail easy. Maybe the sequel to London Has Fallen can be about the president’s disastrous efforts during an election year. 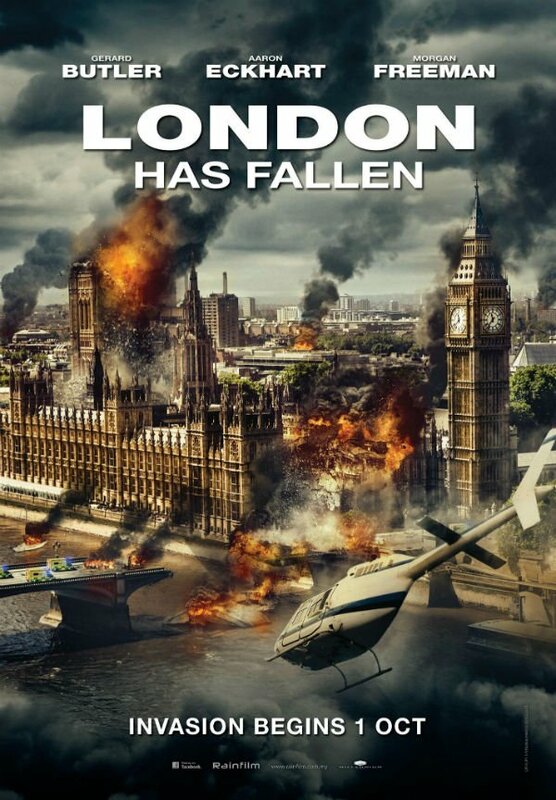 London Has Fallen is the sequel to Olympus Has Fallen (48%), and takes us on a whirlwind of explosions, assassinations, more explosions, bravado, explosions, shooting, grave danger and a few more explosions. It’s a popcorn flick plain and simple. Set up the loosest plot and get to work on the action. In Aaron Eckhart’s defense, in this latest "Thing that Has Fallen" adventure, it’s hard to imagine some of our current candidates for President of the United States pulling off some of the badass-ness that Eckhart and his Secret Service main man Gerard Butler get into while fighting off a group of terrorists. The real group of politicians would last a second in these circumstances. So I guess in that way Eckhart is kind of the man. London Has Fallen won’t rate high with critics, but I doubt that was ever the central idea. It’s best to just get folks to the theater and have fun with a bunch of boom-booms. The formula works and I suspect it performs well enough at the box office. But with critics? Lukewarm at best though there’s some chance, having been set up by the first one. You know what’s a risky move? Making a comedy about war; especially in this day and age. I’m not sure it was ever a good idea, but with the political narrative we’ve got going on getting some laughs centered on a war time effort is really throwing caution to the wind. I mean take a look at Rock the Kasbah (8%) for an example of when you take an American and dump them in war-torn Afghanistan looking for audience giggles. 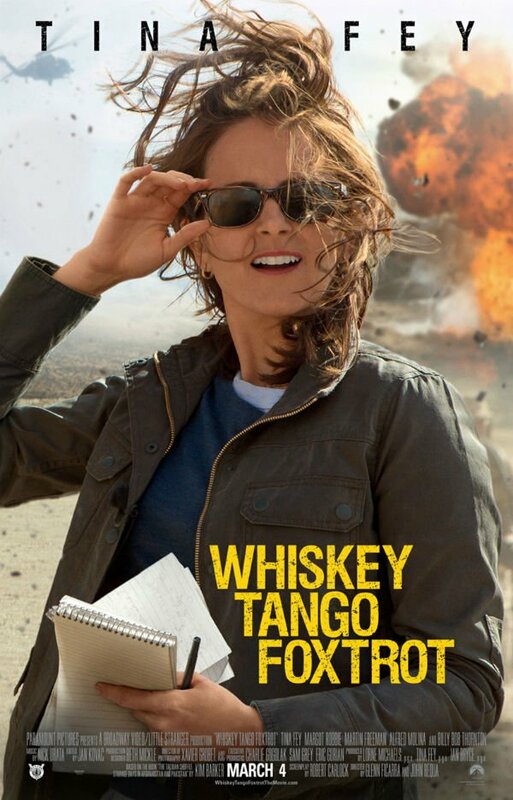 Here’s to hoping Tina Fey and company can pull it off with Whiskey Tango Foxtrot. What’s a little confusing about Whiskey Tango Foxtrot is that the flick is based on the memoir The Taliban Shuffle: Strange Days in Afghanistan and Pakistan by Kim Barker. But the title of the film is the same as a memoir by Ashley Gilbertson, detailing her time in Iraq covering the war. Tina Fey plays Barker though you can see why there might be some mash-up elements going on. I chuckled a couple of times during the trailer, specifically near the end when Tina Fey is reporting on the first female cab driver in Afghanistan. But as a whole I thought the whole tone is forced and odd. For starters, the trailer vacillates between preaching empowerment of women while also possibly making them look like bumbling dopes as strangers in a strange land. To boot, the war time backdrop just really makes it tough to go all out comedy. This is a real war with real people dying. Can there be some funny in that? Maybe. But it all feels too soon. Directed by Glenn Ficarra and John Requa who’ve teamed up to make movies like Focus (56%), Crazy, Stupid, Love (78%) and I Love You Phillip Morris (72%), Whiskey Tango Foxtrot feels like there’s some reason to believe they can pull this one off. But I doubt it. I think critics find it tone deaf and it struggles for a ton of positive reception. When I took little Rotten Week to see Star Wars a couple of months ago, one of the few trailers that played before the screening was one for Zootopia. The whole preview was basically one scene from the film and in the moment I was laughing out loud. I knew right then we’d be heading back to the theater to see it. If an animated flick can get an adult reacting at first blush, then someone is doing something right. Walt Disney Animation Studios has been on a real roll as of late. The studio has been pumping out hits in the last few years, with their last four hits being Big Hero 6 (89%), Frozen (89%), Wreck it Ralph (86%) and Winnie the Pooh (90%). What a fantastic run, and all are movies anyone can (and should) enjoy. Finishing this consistently high with critics is not in any way easy. But they’re getting it done and Zootopia may end up being the best of the bunch, sitting at 100% through more than twenty reviews with critics gushing over both the humor and the social themes. It was a decent week for the Rotten Watch last time around, with two out the of three predictions just about hitting the mark. First up was Triple 9 (Predicted: 59% Actual: 57%), a movie I wanted so badly to score high. Not that 57% is anything to sneeze at, but a movie with this cast and premise just felt like it should have rocked somewhere in the 70’s at least. Mostly I wanted it to rate because the trailer just looked awesome. If I hadn’t gotten a head start with some early reviews, I almost certainly would have guesses a score much higher. It looked like it had everything: action, double-crossing, high intensity and an A list cast. But critics seem to think it was pulled down under the weight of having too much going on. Meanwhile, Gods of Egypt (Predicted: 23% Actual: 12%) was a just-miss. When I started writing the column this morning, the film was at 13%, and I was within the 10% range - but then another negative review came in and the film slipped out. But even missing by a percentage point or two still doesn’t take away that I had the scope of the opinions correct in that I thought critics would pan the hell out of it. They did and most complained about the onslaught of visual effects. And finally Eddie the Eagle (Predicted: 57% Actual: 73%) was better than expected. I thought the score would drop more over the course of the week once the early (and generally positive) eyes had said their piece and the rest of the critical community weighed in. Oops. I should have kept it in its starting range, but instead missed by an unacceptable amount considering some early knowledge. Next time around it’s a big one with 10 Cloverfield Lane, The Brothers Grimsby, The Perfect Match and Young Messiah. It’s gonna be a Rotten Week!